We don’t have ROOM for a record player. We don’t NEED a record player. We don’t even OWN any records. he asked, Did you see any record players for me? An icy no was my standard reply. 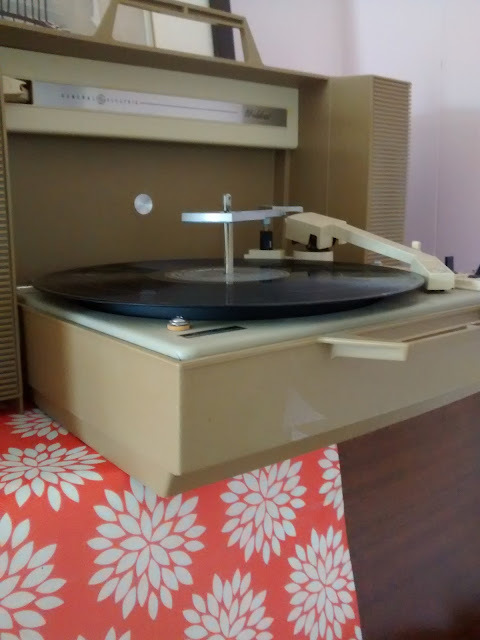 Where would we PUT a record player? I asked. Why don’t you ask for one for Christmas? I offered. not one minute and, of course, you know what he found. In a portable plastic case. It’s only $10, he said. It’s not even attractive, I whined. I've been looking for a portable record player for a very long time....I can understand your husband's request. Wish we lived closer--I've got tons of albums I could give you. Have fun!